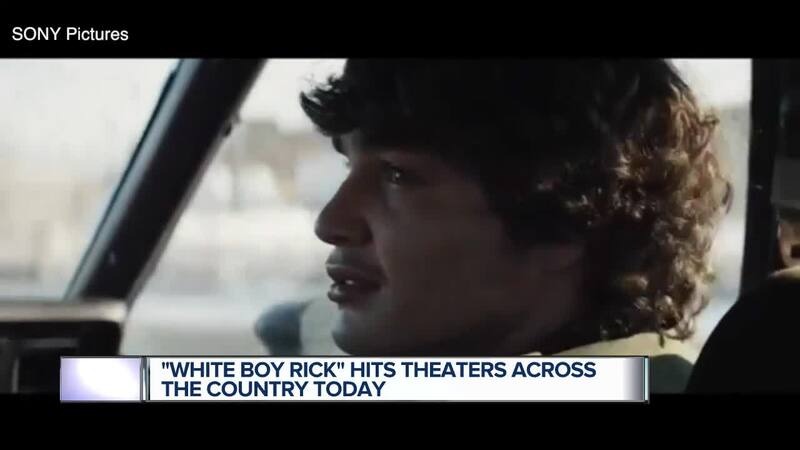 From Detroit headlines and now onto the big screen – the movie 'White Boy Rick" hits theaters today. 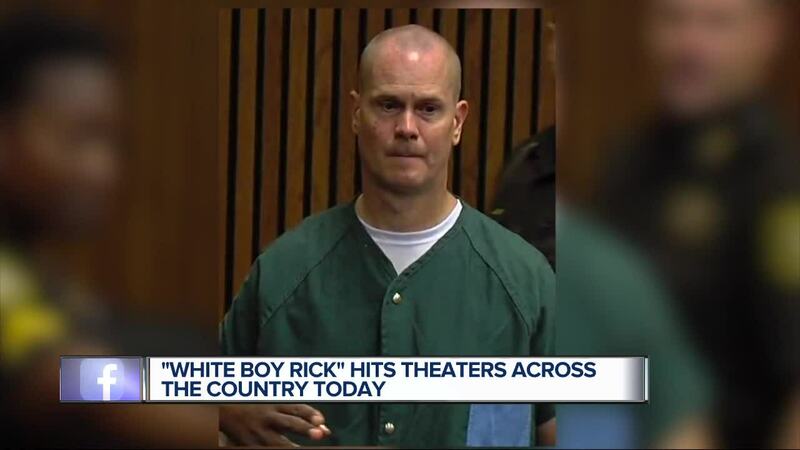 "White Boy Rick" hit the big screen this week, and it shines a light on Detroit and the controversial history of Rick Wershe Jr.
Wershe currently sits in a prison cell in Florida. Court records, which his family confirms, indicate he’ll be released on Christmas Day in 2020. The film is garnering national attention with the star-power of Matthew McConaughey, who plays Rick’s dad, and up and coming director Yann Demange, who has been rumored as the director of the next Bond film. Rick Wershe is no stranger to the spotlight. His story gained national attention in the 1980s — convicted of Possession with Intent to Deliver Over 650 Grams of Cocaine, Wershe was sentenced to life in prison when he was still a teenager. It later became public knowledge that Wershe began trafficking drugs after working for the FBI as an informant. The movie explores both the glitz and glamour of Wershe’s teenage years and the decay of addiction as his sister is shown becoming addicted to crack-cocaine. While the movie itself is about the rise and fall of Wershe, the corruption taking place inside Detroit and illegal use of a teenage informant — the director told 7 Action News he viewed the movie as a family tale. According to Demange, he read about the story once before and passed on the project. He didn’t see the story until a year later when a spec script, basically an unfinished script to draw attention to a potential project, crossed his desk. He noticed the storyline that tied Rick Wershe Sr. and Rick Wershe Jr. and realized he wanted to explore the family aspect of Wershe’s life and tell a story about how the family reacted to everything happening in Detroit, and whether that played into the choices “White Boy Rick” made. While the movie is about Detroit, it’s worth noting most of it was shot in Cleveland to create a look and feel of old Detroit. Dawn Scott, Wershe’s sister who is portrayed by Bel Powley, showed up at the premiere in Novi to witness the film for the first time. By the end of the film people were watching as friends and family — her daughters joined her at the show — were consoling her after witnessing the emotional ending of the film. Prior to viewing the movie, Scott told 7 Action News that she’s looking forward to the day that she can do simple things — like attend a movie — with her brother. Asked about the new December 2020 release date she lit up with excitement after having not seen her brother outside of a prison or courthouse in 30+ years. She noted that regardless of the film, the renewed attention or the discussion about her brother that everything remains bittersweet following her father’s passing. Rick Wershe, Sr. died in 2014. White Boy Rick is currently showing in theaters across the United States.